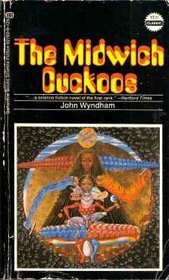 “Midwich was, almost notoriously, a place where things did not happen.” So says Richard Gayford, the narrator of John Wyndham’s 1957 novel The Midwich Cuckoos. In fact, the most significant event in Midwich’s history is a day when absolutely nothing happened. All the people in Midwich simultaneously lapsed into unconsciousness for a day. Pilots flying high over the area could see a mysterious object in the center of the two-mile circle that was affected, but no one could get close to it, and when the town awoke, the object was gone. It was not for several weeks that the long-term consequences of the “dayout” became known. Gradually, almost all the town’s women of child-bearing age revealed that they were pregnant. Given that some of the women involved were virgins, the townspeople knew that something strange was going on. The birth of identical golden-eyed children was only the beginning of the difficulties for the once sleepy English town. My guess is that a lot of you know this story not from the original novel but from the classic film Village of the Damned. Even if you haven’t seen that film, the images of the blond children with glowing eyes are iconic enough to have been parodied on The Simpsons. The images are creepy, and so is the book! Zellaby shook his head regretfully. Ah, Zellaby. It wasn’t an illusion. Perhaps the problem is that those intelligent young women didn’t see much point in moving to a town where people think it’s suitable to go straight from dolls to babies. But I digress. One of the things I’m turning around in my head now is whether—and if so, how well—the novel vindicates the women against these sexist assumptions. On the one hand, the fears that some of the men wrote off as female hysteria did turn out to be well-grounded. Plus, the seeming contentment with early motherhood gets more complicated as the children get older. There’s ample reason to suspect that whatever early maternal attachment these women exhibited was a result of the infants’ dependence on their mothers for survival, and these infants could express that need more effectively than most. So it’s not that all women are natural mothers; it’s that these women were forced to be. Yet for a book that hinges on what one character calls the “callous exploitation of a natural proclivity,” the women themselves are astonishingly absent. There are lots of them, for sure, but they mostly exist as adjuncts to the men. Aside from bearing the children, only one of them is integral to the plot, and her presence and activities are pretty much driven by the men. This comes as no surprise in a book written in 1957, but it did make me wish for a woman’s take on this story. I wondered a little about some of Wyndham’s choices in the way he structured the novel. The book is divided into two parts, with the first going all the way through the children’s first year or so of life. The second part, which makes up about a third of the book, picks up when the children are nine and covers just a few weeks. I can see that it would have been difficult to offer a detailed account of the intervening eight years, but the jump in time is startling, and I would have liked to see more of the gradual shift within the town. It’s not like the children’s extreme behavior would have started suddenly. Given their disproportionate reactions as 9-year-olds, I’d like to know what their temper tantrums in toddlerhood were like. Oh well. Now I’m just wishing for a book that Wyndham didn’t write, when I liked this one just fine. The last section brought out some interesting ideas about identity and individuality and responsibility that I haven’t even gotten into. The ending is suitably gripping with just enough inevitability surrounding it that I can’t imagine a different ending working so well. There are some missed opportunities, but it was still worth my time. 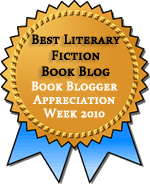 This entry was posted in Classics, Fiction, Speculative Fiction. Bookmark the permalink. It’s years since I read this book, in fact, I think I may well have been a teenager, so definitely more years than I care to remember, but having read this I feel I should go back and reconsider it. It was never my favourite Wyndham. That has always been ‘The Crysalids’ which terrified me and still does because with its persecution of people who are different because more highly evolved it has always seemed just too close to reality despite its more unrealistic setting. I liked Day of the Triffids a little more than this, and I have a copy of The Crysalids, which I’m looking forward to reading. The idea of ow to treat people who are more highly evolved is touched on here because the children are seen as a more (or differently) evolved species. They’re treated as a threat and for good reason, but there’s some ambiguity about what the right thing to do might be. I thought I had read all of Wyndham (like Alex, as a teen), but looking online, I see I’ve only read about half his stuff, and none of his short stories. He strikes me as someone who would make a pretty good short-story writer. As is usual, I never even heard of him until I was an adult, so this an Day of the Tryffids are the only books I’ve read. I see what you mean about his potential as a story writer. He comes up with great situations that could be explored well in a shorter format. I have this on my A Century of Books List, but now I am starting to rethink it. Sounds like it may not be my cup of tea. But then again what is a challenge if it doesn’t include something challenging. I enjoyed this, but I don’t see it being your kind of book at all, Thomas. But I’m reading The Chrysalids right now, and it’s much better. I could see you liking it, too. So if you want to be sure to include some science fiction and have a hole in 1955, I recommend that instead. I found a paperback copy of this recently, and I think it will be one of the books I take on my next trip. I enjoyed the Chrysalids.